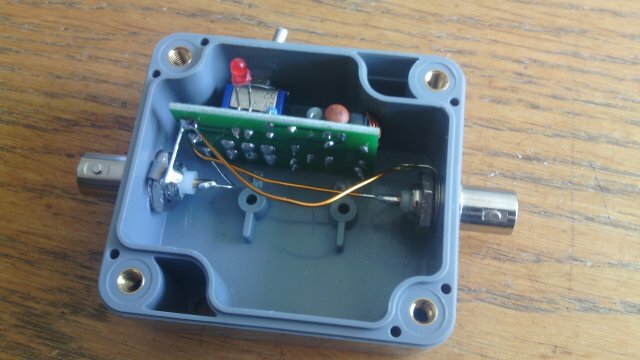 A time ago I bought a small QRP tuner kit on eBay and with exception of the SWR indicator I wasn't happy with the result. So the build off kit ended in the compontents / spareparts box and was soon to be forgotten. After I made the QRP Fuchs Antenna the one thing that I didn't like about it was its very tricky to tune and a SWR can get to the max easy. 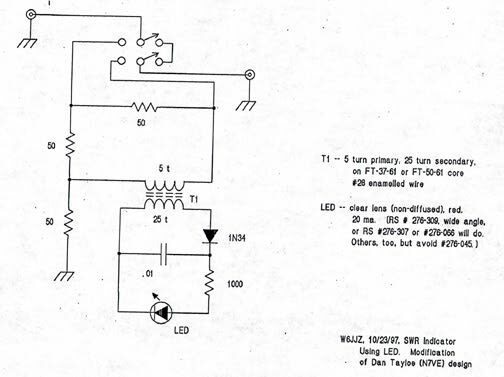 And the one thing FT-817's don't realy like are full out of scale SWR's. 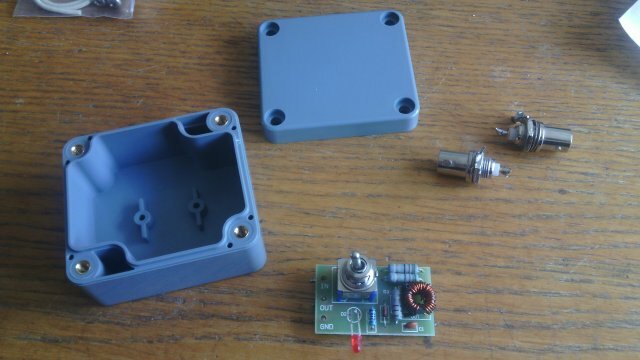 I have build a few SWR indicator bridges on variouse projects which when switched to tuning will protect with a SWR of 1:2.0 on the max and that would have been a nice adition to the QRP Fuchs Antenna Matching Unit. Such a bridge could easyly be added to the unit but the box was allready nicely build and didn't had much room for more stuf in it. 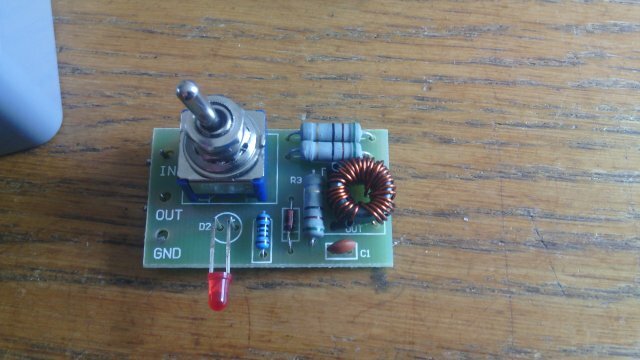 For me Hamradio is all about experimenting and especialy the QRP part. 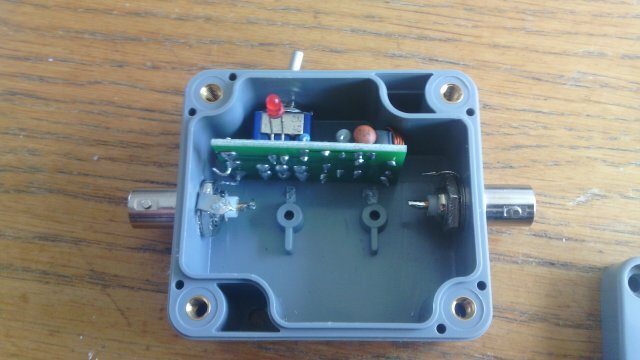 So remembering the left-overs from the QRP tuner kit and having some other spareparts laying around, the idea came to mond that a seperate SWR indicator box would be handy in the future. 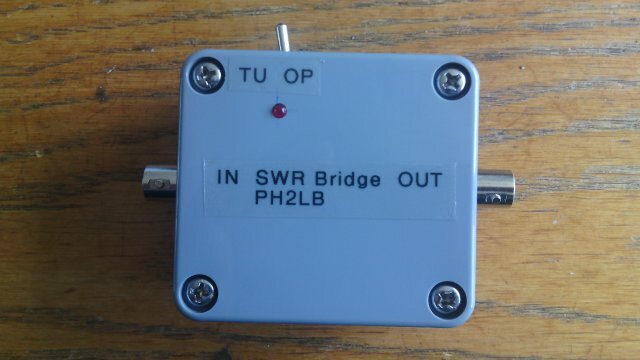 The SWR indicator bridge is based on the design as show below which I found on the internet (I don't take any clame for the design). Long story short, here are the images.